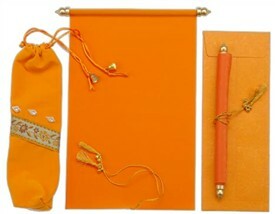 S211, Orange Color, Scroll Invitations, Jewish Invitations, Fabric Scrolls. 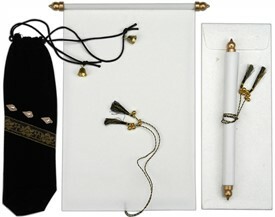 Ethnic and truly royal this beautiful scroll design gives you the real treat of beauty. 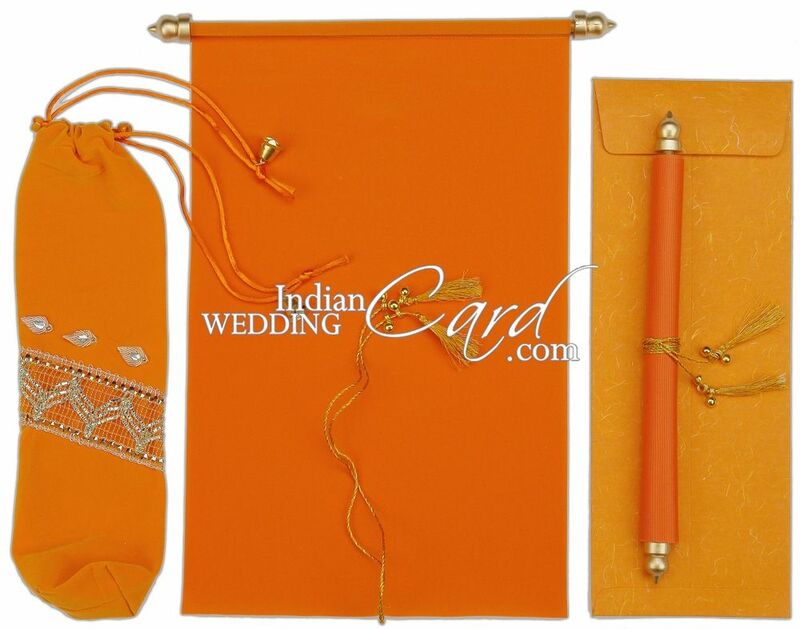 Stitched around shining golden bars and tied by a matching orange-gold silk tassel, the card is customizable in terms of border, text and design. 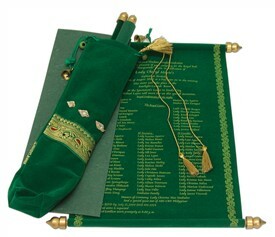 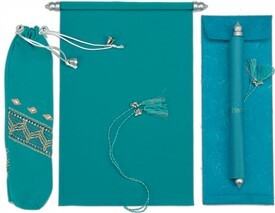 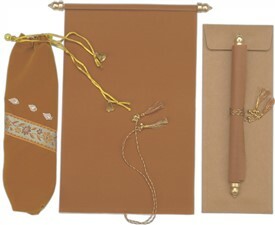 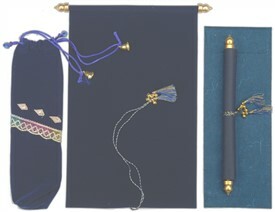 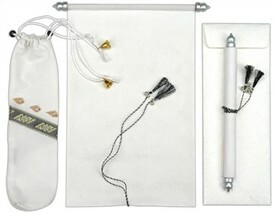 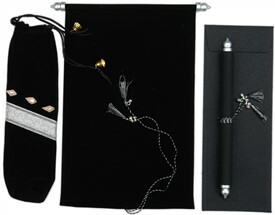 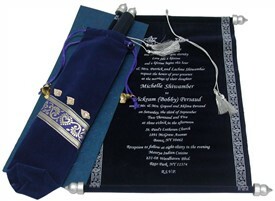 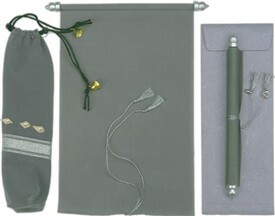 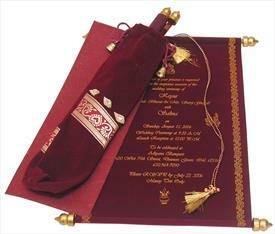 The card is contained in an velvet pouch having elegant zari lace and handwork with an envelop for postage.